﻿ Richmond Hotel Kochi, Japan | FROM $44 - SAVE ON AGODA! "The hotel staff & facility made our stay so nice that we sta..."
Have a question for Richmond Hotel Kochi? "The services received from all staff were top notch!" 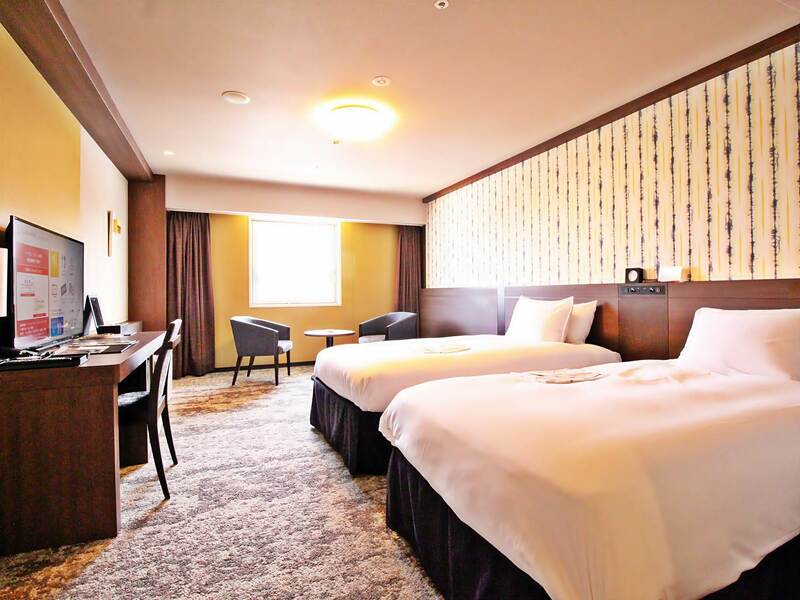 "Shops such as fast food shop to high quality restaurant, CVS..."
If what you're looking for is a conveniently located hotel in Kochi, look no further than Richmond Hotel Kochi. The city center is merely 0 km away and the airport can be reached within 35 minutes. 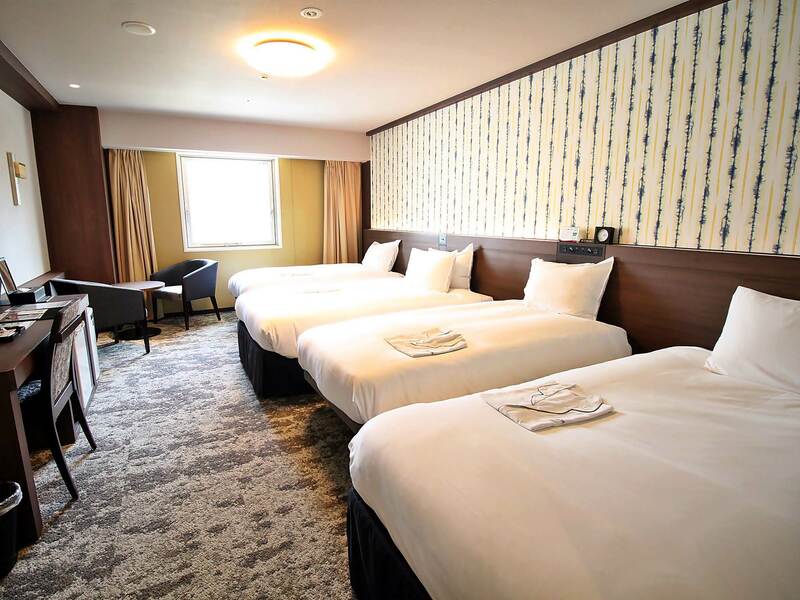 For sightseeing options and local attractions, one need not look far as the hotel enjoys close proximity to Sunday Market, Tosa Select Shop Tencosu, Obiyamachi Ichibangai. At Richmond Hotel Kochi, the excellent service and superior facilities make for an unforgettable stay. Guests of the hotel can enjoy on-site features like free Wi-Fi in all rooms, laundromat, taxi service, daily housekeeping, wheelchair accessible. Richmond Hotel Kochi is home to 234 bedrooms. All are tastefully furnished and many even provide such comforts as television LCD/plasma screen, internet access – wireless, internet access – wireless (complimentary), non smoking rooms, air conditioning. The hotel offers wonderful recreational facilities such as massage to make your stay truly unforgettable. Richmond Hotel Kochi is your one-stop destination for quality hotel accommodations in Kochi. "Great location with lots of restaurants, shops and attractio..."
I have stayed at this hotel several times now. The first time was four years ago, and the place felt so fresh and different with its contemporary decor and wider than usual rooms and bathrooms that I thought the special deal I received was due to the fact the place was new. Years later, this hotel still feels so much better than any standard Japanese hotel in this category. 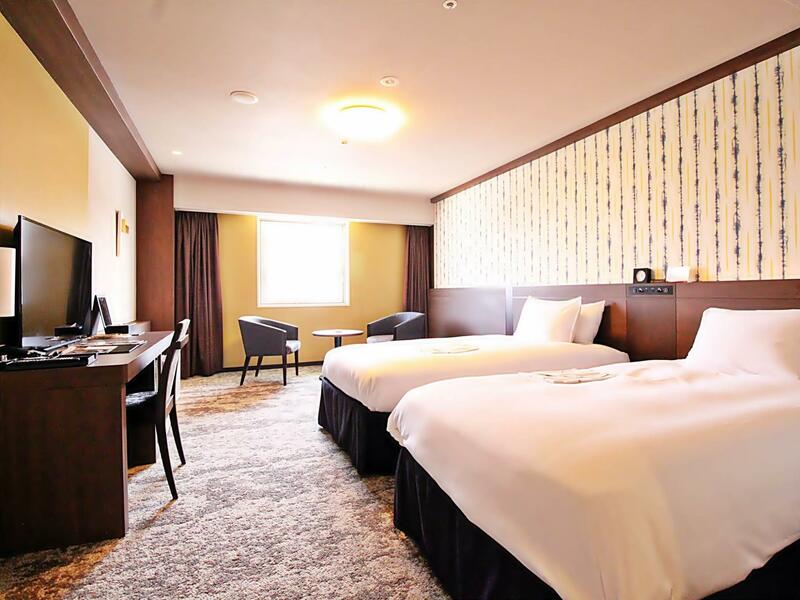 The modern furniture and the many small luxury touches to make the guests feel truly at home are rare enough in Japanese hotels. 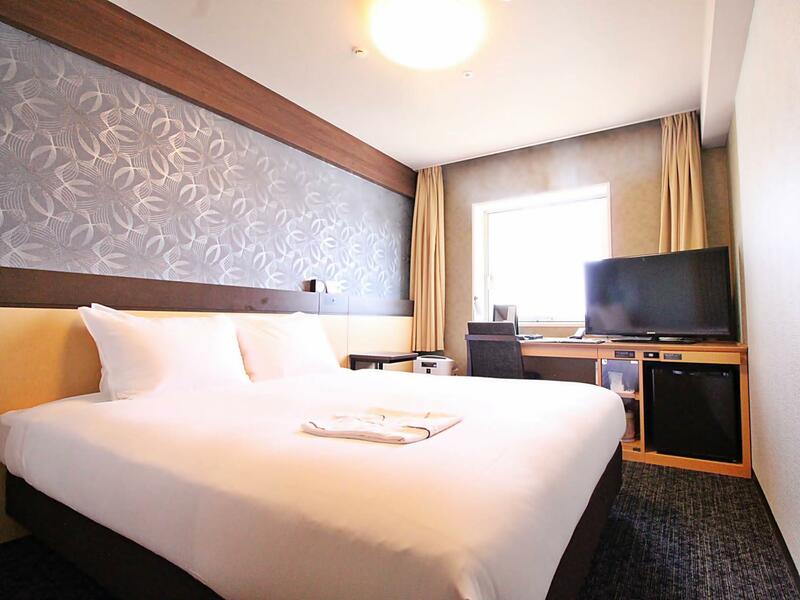 There is great coffee in the room, a proper make-up mirror and a proper desk lamp and comfortable seat, several pillows to please both Japanese and Western guests, a wide bathroom with good lighting and a fog free mirror, a large Sony TV with American series on BS 258, etc. 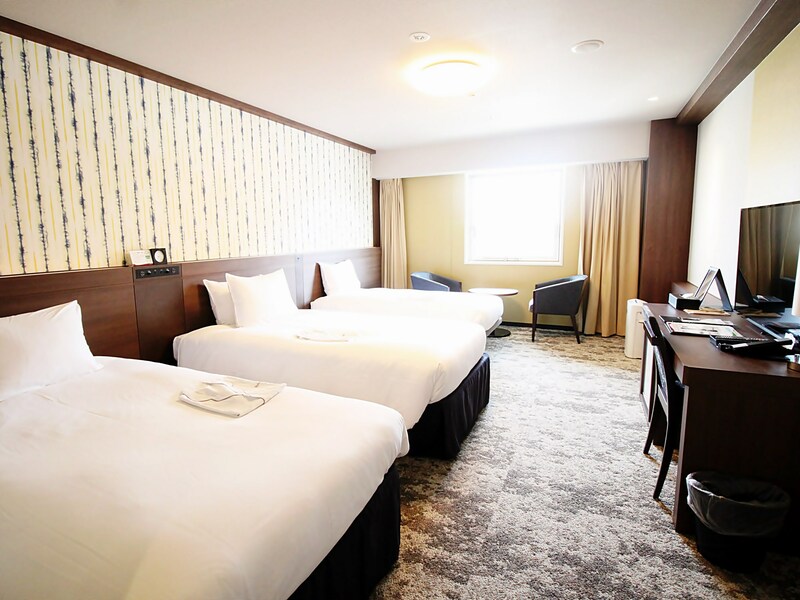 If you have stayed like me at many budget and middle of the range Japanese hotels and are in need of a more comfortable place, this hotel is the "just right" place. It is also in a great location next to the long Kochi shopping galleries and the rooms are well insulated from noise. And the staff really seems to care about its guests. I keep returning to this hotel because I think it has everything "just right" in the context of Japan. 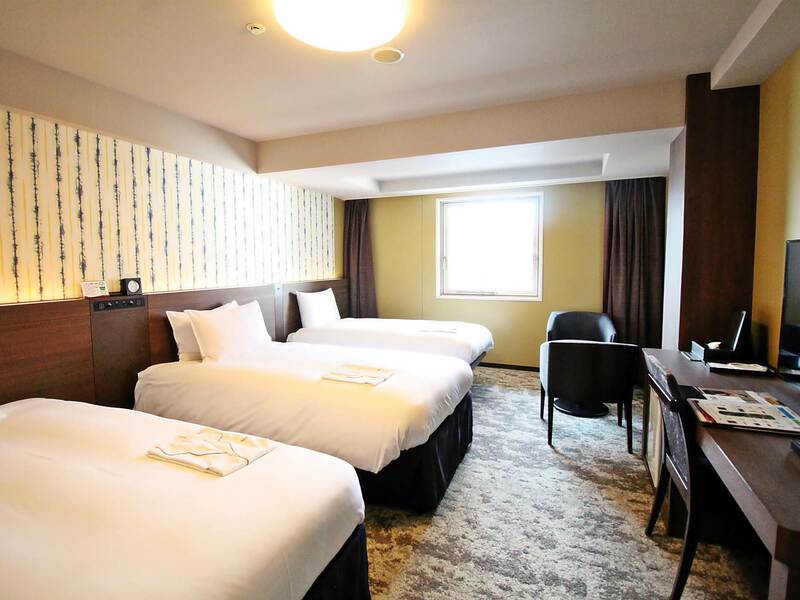 Japanese hotels in this category tend to be a little depressing - narrow beige rooms often smelling of tobacco and tiny plastic molded bathrooms, etc. This is not the case at this attractive hotel where the rooms are wider than usual, the decor and furnishing fresh, modern and comfortable, the bathrooms pleasantly different, and the bedding excellent. The staff genuinely cares about your comfort and will go out of the way to help you with any issue. The hotel is on the side of a shopping gallery, but yet very quiet. I recommend this hotel very warmly. This is a hotel I keep returning to when I am in Kochi because from my experience over the years it is far better than any other Japanese hotel of its category. It has rooms which are a little wider than usual and are well furnished. 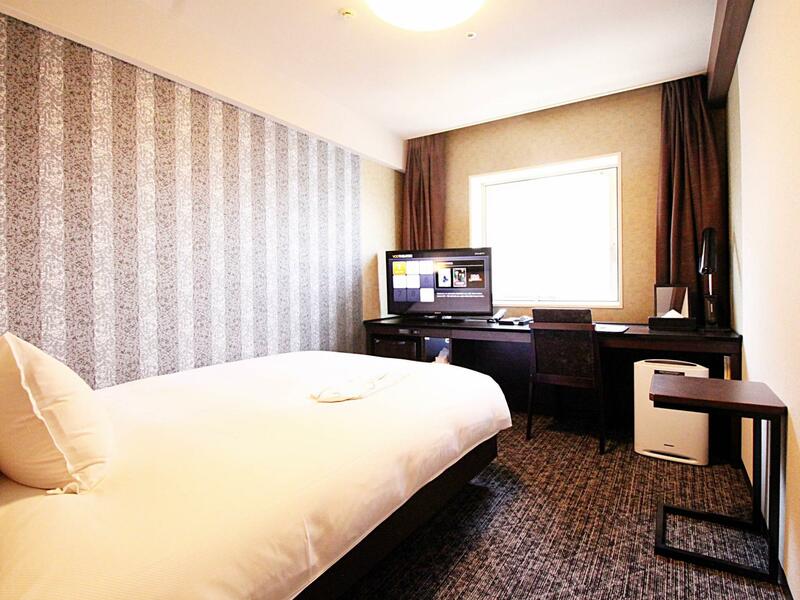 There are many small touches to make one's stay enjoyable - wide screen Sony TV whith BS 258 channel with "bilingual" programs, two pillows on the bed and a spare to satisfy any Westerner in search of a soft pillow in Japan, etc. The staff is especially caring. I wished all hotels in Japan offered the same standards. Located about 10 minutes walking from Kochi Station. Just in the middle of the shopping street. It is a very nice hotel. The staffs are very friendly, the hotel room is very good. Overall I must say it is a very nice experience staying in this hotel. I was looking for a hotel to rest my feet as I am walking around Shikoku Island doing the 88-Temple pilgrimage. I found this hotel by chance, thanks to Agoda. I expected a standard Japanese business hotel with a poky room and beige plastic cubical bathroom, but I was delighted to find a very modern and welcoming place with a room which, without being very large, was well decorated and well furnished. A bonus for me was the soft down pillows - something you don't get in the regular business hotels. My feet were really in pain and the staff supplied me with 2 enormous ice-packs. I was also given a small bag of bathroom "goodies" on arrival comprising of up-market products. The shops, cafés and restaurants are all around the hotel. It is in fact next to a large shopping gallery, and very close to the tramway network. I was only disappointed with the western breakfast which was a combination of a tiny soup & salad and a more western egg and bacon mix with a small piece of toast. I am a vegetarian, and there was no other choice available, apart from a traditional Japanese breakfast which I skipped as I had had that same breakfast for 20 days already. Overall, It was a very peaceful place, and I can only but recommend it. The carpark is little bit far from the hotel. Great location with lots of restaurants, shops and attractions around. Overall very very satisfied. Room was spacious and clean. The services received from all staff were top notch! Hotel front door faces the shopping street. Convenient, yet quiet. Would definitely stay here again. This hotel is located so well in the middle of pedestrian shopping street. Close to fish market, Kochi Castle and museums. The hotel staff & facility made our stay so nice that we stayed an extra day. There are so many things to do in Kochi. We loved it! 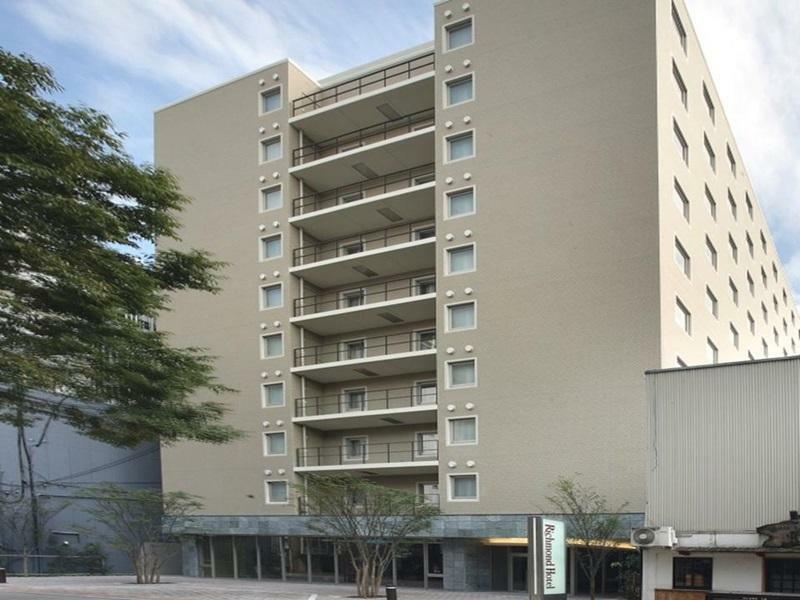 The hotel room is strategically located next to the sheltered street (nearby Daimaru and eateries). The room is small but considered comfortable. The Kochi castle is within walking distance from the hotel. standard and extremely clean and comfortable. loved the japanese onsen (spa) powder that they give out and the variety of toiletries they offer to female guests. 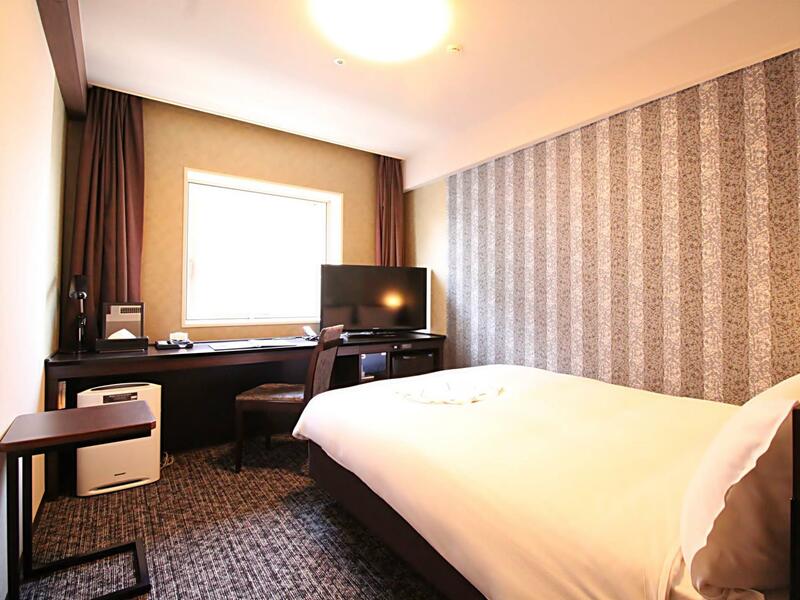 absolutely lovely stay, so close to the main shopping area, the kochi castle and the hirome market too. literally everything is five minutes away! best modern hotel we have stayed in, the parking wasnt too far either. From there you can visit the main spots of kochi City. 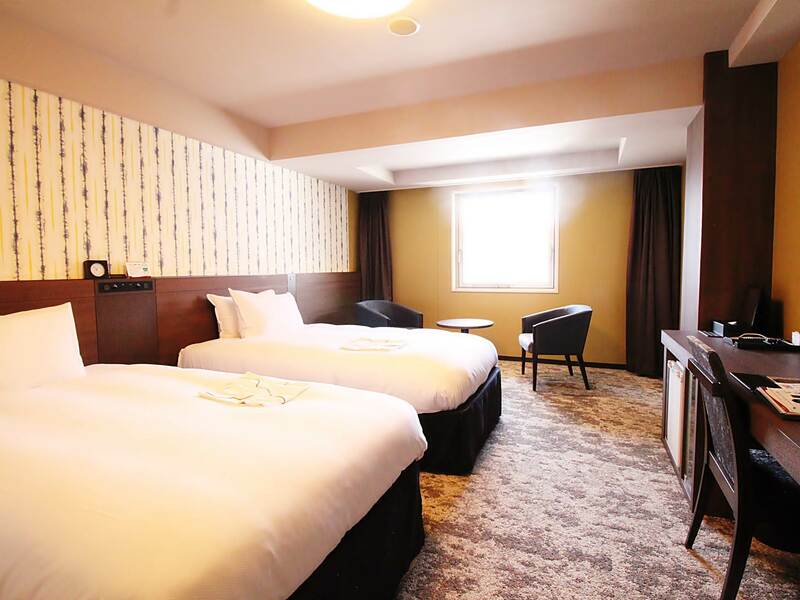 A very comfortable place with convenient transportation...you can reach there very easily by the streetcar and from there you can visit Kochi Castle, Halimaya Bridge and Sakamoto Ryoma Memorial Museum. Was pleasantly surprised when i first arrived for my check in by the English speaking service staff and the lovely ladies' set for moisturizing myself in the dry weather here. The room was small but completely equipped with everything I needed during my trip. A warm soft bed, clean toilets, huge television set. All these added to the positive feelings I had during my stay here. I stayed in Kochi for a week and this hotel worked out much better than I expected. 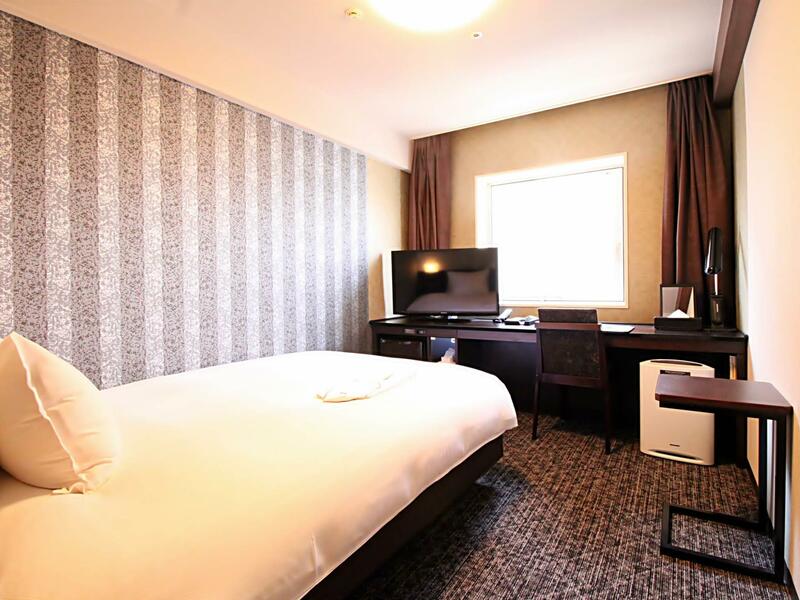 The location is superb, my room was larger than I expected and even large for Japanese standards, and the staff were all very helpful. There are also two restaurants/cafes associated with the hotel that provide two choices for breakfast - western style (toast, coffee and egg) and Japanese (rice, fish, soup and nato if you're interested). The latter also recently changed service so coffee is now an option. Both were 880 yen. I think there they can also be included with the room. I reserved on the internet and found a great deal (Agoda, of course) that was about $85/night. This sealed the deal for me. Very good hotel near city centre and shopping area,clean and modern ,friendly staff.Will stay next time.